The Peak Funky Jumper is a fun and playful twist on a classic crew neck knitwear jumper. 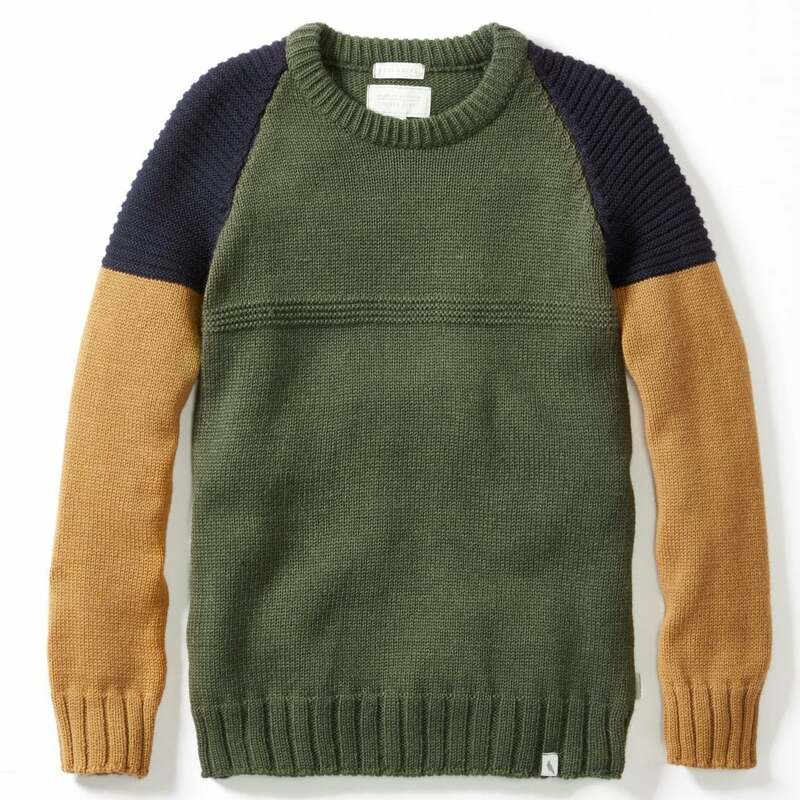 This cosy jumper features complementing block colours and ribbed cuff detailing. This stylish jumper is a great transitional wardrobe staple. Made of 100% Merino wool in the U.K.